‘Mozzie Flat’. The name isn’t going to win any awards or even attract many campers. But as it happens, this place, tucked up in a small depression amongst sand dunes, is a little beauty for a couple of campers and their vehicles. We had stumbled upon it as we wandered west of Edithburgh along the southern coast of Yorke Peninsula, our travels having started just a couple of days earlier. Places like this, spread over the big boot-shaped piece of land west of Adelaide that separates the St Vincent and Spencer Gulfs, combine to form a huge list for campers wanting to experience some of the best water-based summer attractions along our long southern shoreline. Enough chatter. Let’s kick off an a round trip. For many, the coastal delights start soon after leaving Port Wakefield at the head of the St Vincent Gulf. From here, you swing south along the Yorke Highway, which hugs the coast for the next 120km or so. As you head down the highway, you pass turn-offs to the small coastal villages of Port Clinton and then Price, both of which have a laid-back feel about them, plus a pleasant pub and camping ground. Further south is Ardrossan, a much bigger town of over a 1,000 souls and a very long jetty, used to load salt and dolomite (used in steel production). The huge silos that dominate the town store grain, which is trucked further south for larger ships to take on board. This coast and its jetties are popular with shore, jetty and boat fisherman. Whiting, tommy ruff, snapper, garfish and squid vie for the bait. Crabbing is extremely popular with blue swimmer crabs and sand crabs being the delectable catch. 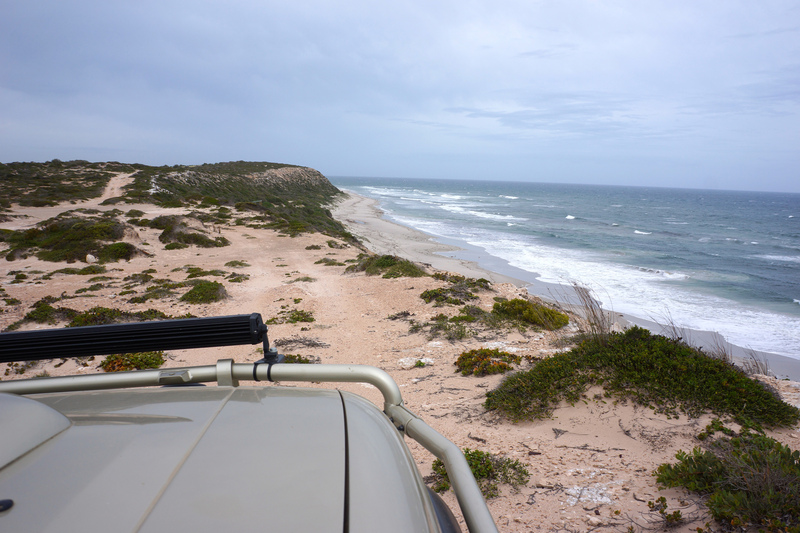 Just south of Ardrossan is Parara, the first of 19 bush campsites designated and maintained by the Yorke Peninsula Council. These bush camps, predominantly on the peninsula’s west, offer a variety of coastal places to stay and are certainly worth checking out. Further south, you’ll pass short diversions to Port Julia, Port Vincent and Stansbury, all offering pleasant camping grounds, great pubs and protected beaches. These places are ideal for the kids to paddle and play in, or for the adults to laze beside or throw a line from. Some people never get any further south than these small coastal communities and once you visit you’ll probably understand why. Of course, you can just as easily head inland as you swing around the top of the Gulf for the drive south, but the peninsula isn’t all that exciting away from the sea. The gently rolling hills of the inland are for the most part a granary of wheat, oats and barley, with a few patches of spindly tree to break the monotony. There’s a bit of history in each of the inland towns but again it is the coast and the coastal towns that hog the lion’s share of the region’s traditions and heritage. I (Ron) can say that, because my family helped pioneer much of the region around Yorketown in the 1880s, but with three of the four sons being killed in WW1, they never continued their association with the peninsula. 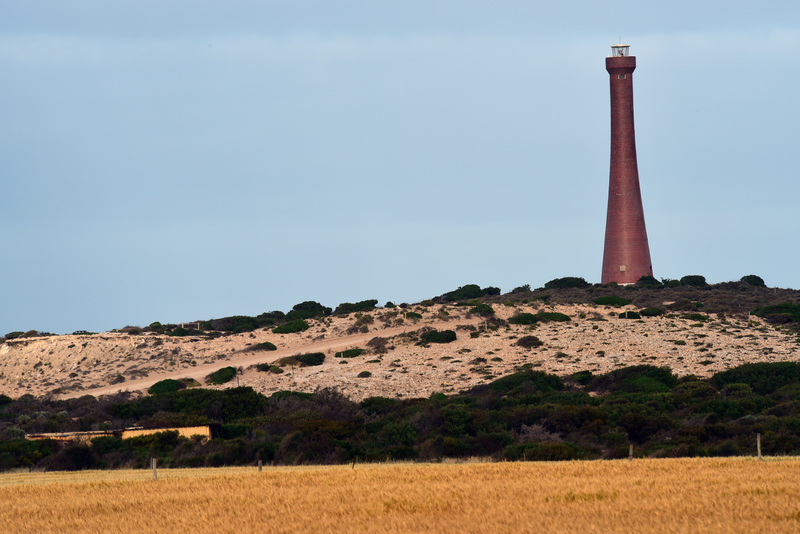 Edithburgh, on the heel of the Yorke Peninsula, is the undoubted focal point of the south-east. It’s popular among fishermen, divers and other aquatic sports lovers. Plus, it’s full of history, with many reminders of the days when this town was one of the biggest and busiest ports on the SA coast. Down at the seaside, the tidal swimming pool is a safe spot for kids and adults to get wet. 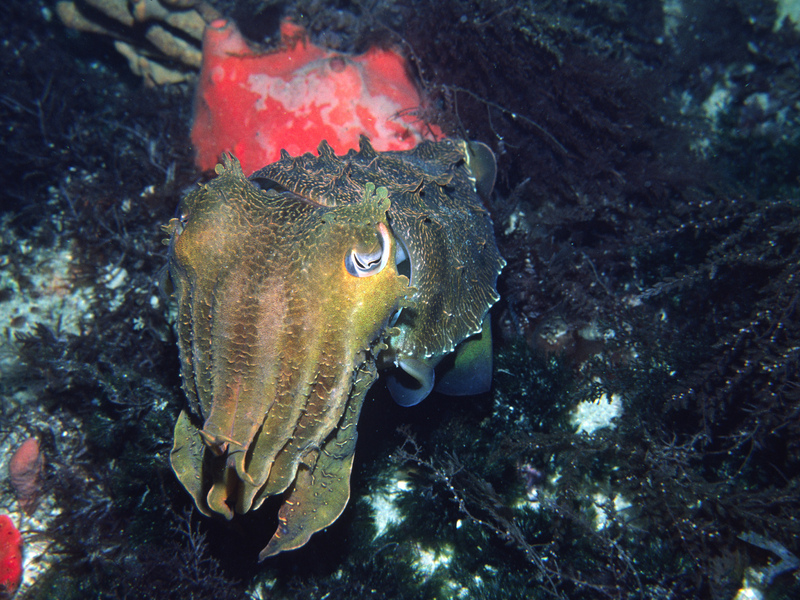 Nearby, the jetty not only makes a great fishing platform, but is also a premier diving and snorkelling site featuring a couple of iconic species, including the leafy sea dragon and the striped pyjama squid. There’s plenty of accommodation in the town, with the camping ground right on the coast. Troubridge Island, just offshore, requires a permit and is a paradise for bird watchers, divers and snorkellers alike. The original lighthouse keeper’s cottage is available for rent. The first European in the area was Matthew Flinders; in 1802, he sailed into a great inlet which he named St Vincent Gulf. He proceeded to name Troubridge Hill and Troubridge Shoals, a patch of treacherous shallow water just offshore from today’s Edithburgh. A few weeks earlier he had sailed far up into what he called Spencer Gulf, discovering and mapping the coast and scattering names like confetti on any prominent headland, hill, reef or beach. Between then and the official settlement of the colony in December 1836, sealers and whalers occasionally visited this southern coast. With the establishment of Adelaide, shipping from England and Australia’s coast multiplied tenfold. In 1838, the Parsee became the first ship to be claimed by the Troubridge Shoals. Today, six wrecks can be found in the immediate vicinity. The Marion, which sunk in 1851, is the most famous, despite the fact all 350 emigrants on board made it to shore safely. Not so lucky were the crew of the SS Clan Ranald, which sank in 1909 just a few nautical miles west, in the shadow of Troubridge Hill. Of the 60 on board, 40 drowned. The bodies of 31 seamen and five white British officers were recovered. The officers were buried in individual graves in the main section of the cemetery, while the others were buried collectively in the back corner, in what remains Australia’s largest mass grave. Incredibly, the 24 survivors, including 20 lascar seamen, were jailed as ‘illegal immigrants’ under the White Australia Policy and then deported. You can find the Clan Ranald’s anchor in Edithburgh, now in its full glory after a 15 year restoration project. Today, the Clan Ranald shipwreck is part of the Yorke Peninsula Shipwreck Trail that leads people from Edithburgh along the south coast to the ‘toe’ at Cape Spencer and north to West Cape in the spectacular Innes National Park. The road, which soon becomes gravel, first leads to Troubridge Hill with its spectacular red brick lighthouse (one of the last to be built in Australia). In all, there are over 20 wreck sites along this short section, testifying to how dangerous it was before improved ships and navigation gear. Following the Shipwreck Trail from Edithburgh, you pass a couple of bush campsites, including the aforementioned Mozzie Flat. You also pass through the village of Port Moorowie and then at the far end of Sturt Bay come to the 242ha Point Davenport Conservation Park. This is an area of high biodiversity with a range of habitats including beaches and foredunes; there is a small estuary that is listed as a nationally important wetland, with 70 odd species of birds having been recorded. Sadly, access can be difficult and camping is not allowed here, or in any conservation park in SA, for that matter. Further west along the shore of Foul Bay you pass a few shacks along the low cliffs, before coming to Hillocks Drive, a privately owned patch of land that takes up a great section of coast dotted with rocky headlands, quiet sandy beaches and rocky pools. Dispersed camping is allowed. This area is quite popular over the summer holiday season. You’ll be forced onto the blacktop just before arriving in Marion Bay. Consider this town your last chance to pick up any supplies before heading into Innes NP. Get excited, because this park is an undeniable highlight of Yorke: a fabulous spot for diving, fishing, snorkelling, doing sweet bugger all, and surfing (try Chinaman’s, Trespassers, Daly Head or Pondalowie). The park is also home to 140 species of birds, including the shy but often heard western whip bird and the spectacular white-bellied sea eagle. Western grey kangaroos are common; tammar wallabies, once common throughout the peninsula, were reintroduced back in 2004. Reptiles such as brown snakes and sleepy lizards abound, plus you have a chance of seeing whales during the winter months. Inside the park you’ll soon come to the Stenhouse Bay visitor centre and the nearby campground. Further on, it’s worth dropping into the historic township of Inneston, where you can see how people lived and worked mining gypsum in this arid and remote location from 1889 onwards. A little further on, don’t miss the the turn-off to the spectacular Cape Spencer lighthouse, either. Deeper in the reserve, on the southern shores of the protected Pondalowie Bay, is another large campground set back off the delightful beach. Three islands shelter much of the bay, which has long been a safe anchorage for the cray boats that fish this wild coast. 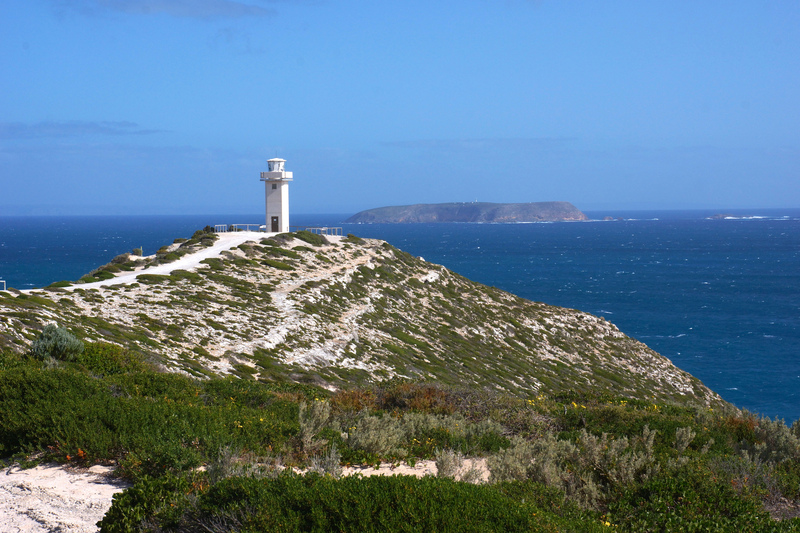 If you feel like walking, visit the nearby 1km loop walk to the stainless steel lighthouse and 67m high cliffs at West Cape. You can drive further north from Pondy to Dolphin Bay and Browns Beach, where you’ll find another camping area. However, to continue north up and off the peninsula you’ve got to turn around and head back to Marion Bay, from where you take a good road north to Corny Point. Worthwhile detours to the left can prolong this stretch, if you’re so inclined. Corny Point, a headland at the northern tip of the boot, is adorned by a spectacular lighthouse built in 1882. From here, the coast swings east to Point Turton, from where it again swings north, along a low and sandy shoreline fringed by rocky reefs. You’ll pass Hardwicke Bay, Port Minlacowie, Parsons Beach, Port Rickaby and Wauraltee Beach. 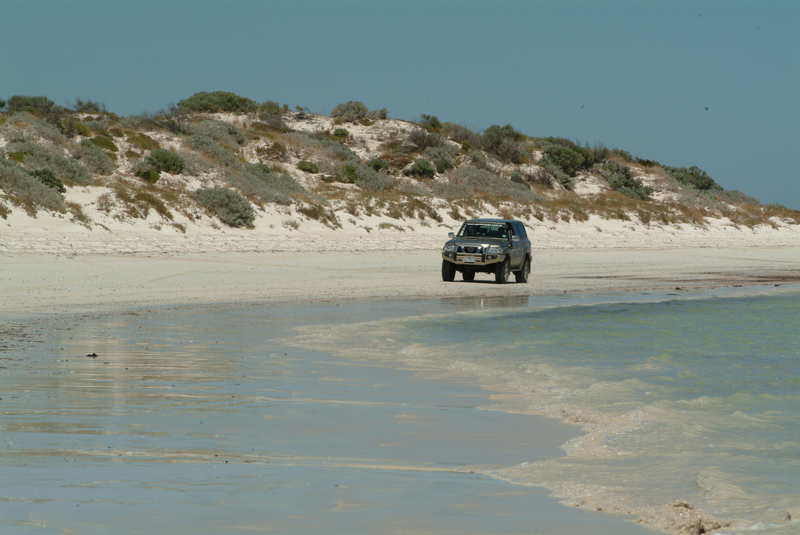 For the most part a dirt road skirts close to the coast, but at times access to the beach is via sandy tracks requiring a 4WD and low tyre pressures. Historic and delightful Port Victoria is protected by the low smudge of Wardang Island a few kilometres offshore. Good beaches, a nice pub, a quality camping ground, lots of history, top fishing and some fabulous diving make Port Victoria one of our favourite destinations. 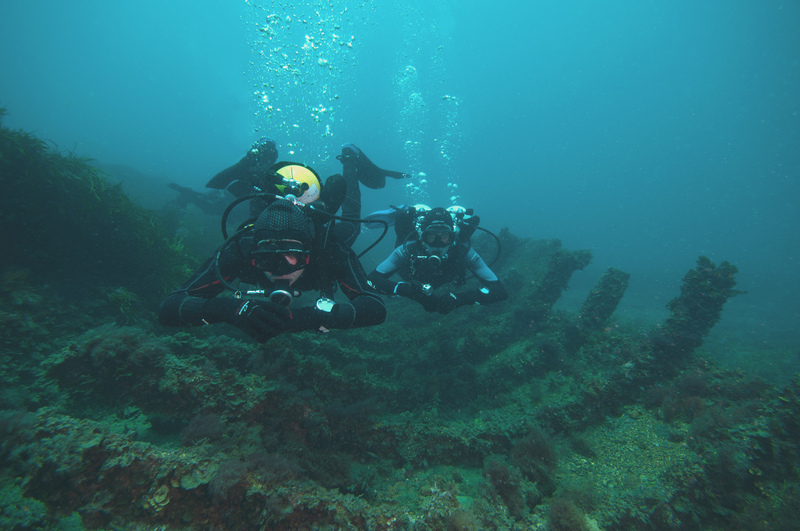 Around Wardang Island, eight wrecks now make up the Maritime Heritage Trail; most are in shallow water, making them easy to explore with a snorkel or scuba tank. The fish and reef life here are excellent! Few are familiar with the fact the island played a key role in the country’s war against rabbits; it was the primary site for the development and release of both myxomatosis in the 1950s and the calicivirus in 1996. Some say an enterprising farmer snuck ashore, pinched some infected rabbits and released the calicivirus on the mainland, before the scientists had gotten around to it! Port Victoria also used to be one of the great windjammer ports in Australia. Ships from Europe rode at anchor here, waiting to be loaded with grain before they raced each other back home; the fastest stood to make a fortune with top prices for the rich cereal. Then WW2 came along and, by the end of that conflict, the great windjammers had been superseded and the grain race was no more. 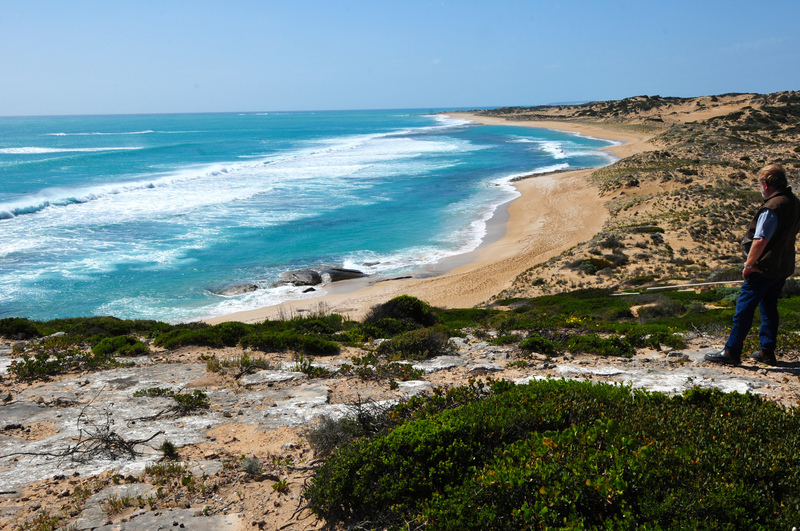 As you head north along the coast, you’ll pass three bush campsites before coming to the popular holiday destination of the ‘Copper Triangle’: Moonta, Wallaroo and Kadina. 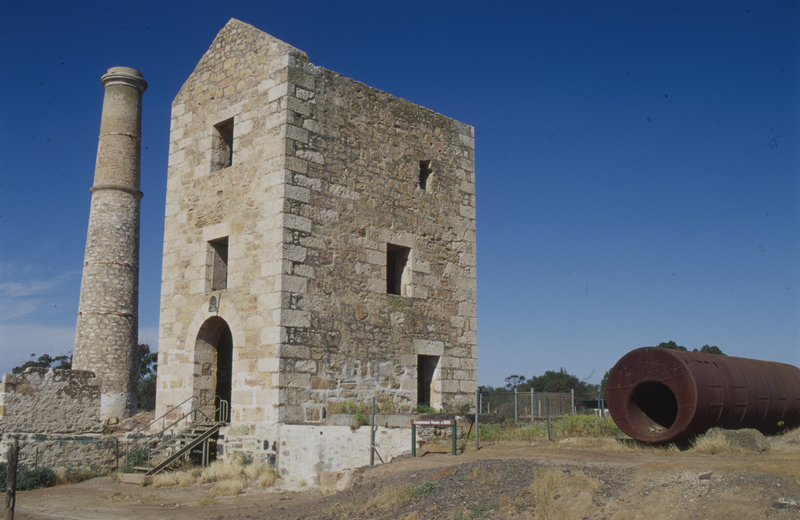 Copper was discovered at Kadina in 1859; the rich mines and subsequent smelters and ports caused the area to boom. Today, it’s the peninsula’s most populated area, with the towns providing all the facilities and beaches you’ll ever need. Time your trip with the annual Cornish festival in May (the Kernewek Lowender) to truly appreciate its rich history. From Kadina, it’s just 60km south-east back to Port Wakefield. By this point, you’ve circumnavigated the whole boot. On paper, that is. All that’s left is to pack the camper and do it for real.